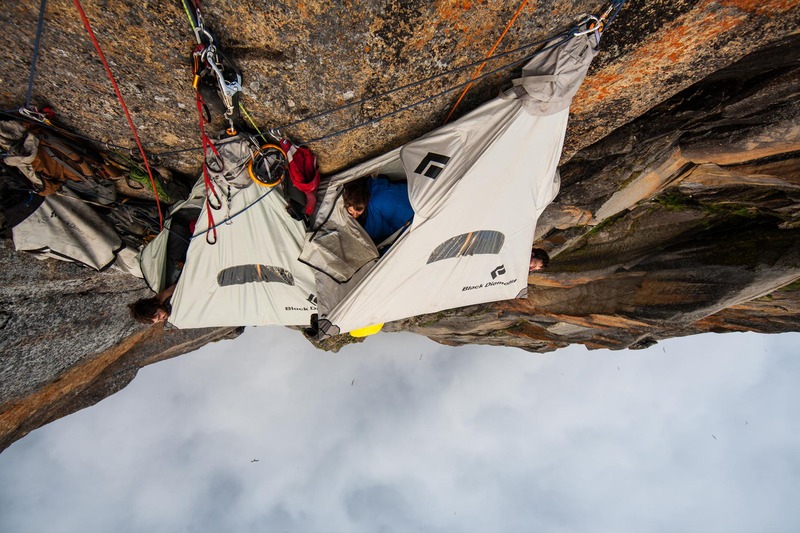 sean nico and olivier (left to right)at our heaven camp, high above the fog, impossible wall, greenland. we topped out the next day and walked off. the seagulls and guillumets were fying around like angels above the clouds.